New Virtual Assistant Finder Service - Find the RIGHT VA for you! Finding the right Assistant can be a pivotal moment in regaining control over the Executive's or Business Owner's time. VEA Services, a specialist in sourcing Assistants and coaching Executive and Assistant teams, has launched a new service: VA FINDER. VEA Services president Jennifer Maffei says, "This new service is perfectly aligned with the company’s mission to help Executives and Business Owners to get their time back. Most Executives and Business Owners could benefit from having an Assistant. However, not all need an in-person Assistant and would prefer a Virtual Assistant (VA). Finding a VA on their own can be overwhelming, time consuming, and costly. The vast majority don’t know where to begin," stated Maffei, “This is about reclaiming their time and helping them to be as efficient and productive as possible; that includes sourcing and hiring the right VA. Finding the right Assistant can be a pivotal moment in regaining control over the Executive’s or Business Owner’s time,” she continued. 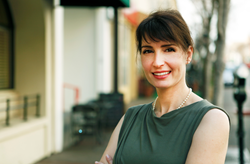 Jennifer Maffei founded VEA Services, LLC, in 2014. Her mission is to help Executives and Business Owners get the most out of their Assistants. VEA Services specializes in coaching Executives and their Assistants to work better together and “Maximize the Executive and Assistant Relationship”. Jennifer also sources Executive Assistants for her clients to help them find the RIGHT Assistant match for their needs. Michelle is an Entrepreneur, Online Business Consultant & Manager, Project Coordinator and Virtual Assistant who quit her job to start her own business, Virtual Miss Friday, in 2005. She now supports businesses and individuals in achieving their professional goals through the provision of effective, efficient, and dynamic business support services and products.